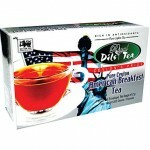 This is no ordinary English Breakfast Tea. Taste our Dil’s rich flavored English Breakfast Tea. You will taste the difference. 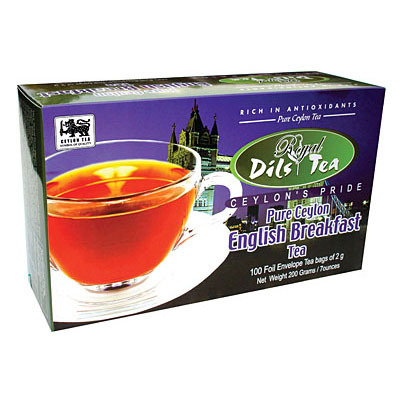 Our English Breakfast tea has an exquisite malty, rich flavor and aroma. 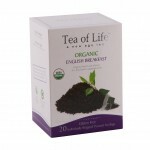 Our tea bags brew a quality English breakfast style tea. 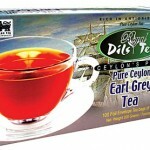 This distinctive blend of our English Breakfast tea is a Pure Ceylon Black tea one estate one origin with a flavor that avoids becoming overpowering and a reasonable caffeine content that makes this tea perfect for those who want a little wake up in their tea without too much buzz. for the day. 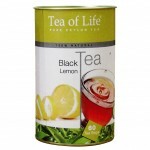 Can be consumed all day with Milk and sugar for added taste. Can be drunk hot or cold.